Beach Vacations will manage your vacation rental property for you! You will still have access to your property anytime you want it, after all it is yours! All you have to do is sit back and watch the cash flow in. Not ready to move in just yet? Strand Management provides management services for long term rentals in the Grand Strand area. Check out all the great benefits of letting Strand Management handle your new property today! Shopping around for a new home can be an exciting time for most, for others the process may seem a bit overwhelming. You will be seeing many properties before it is all said and done so be sure to keep good notes on each property you visit. 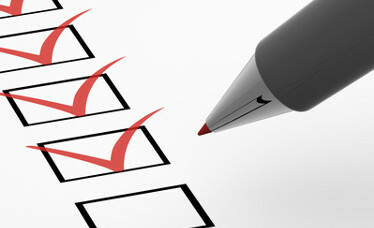 Keeping a list for each property will help you keep everything straight and simplify the decision in the end. Below are just a few things you might want to keep track of. Here you will want to make as many notes about the home as possible. Make sure and test the plumbing, run the faucets, showers, and flush the toilets. Also be sure to turn on the hot water and time how long it takes to get warm, a long wait on hot water is a great way to measure the condition of your potential new water heater. Flipping switches on / off and opening & closing windows can also give you a good idea for the heating situation as well as your new homes electrical system. Keep your notes on the surrounding community seperate from the house list. Make note of things like the condition of your neighbors home, traffic on your street, and parking. Also using Bing or Google Maps you can get the relative distance to local businesses, schools, and public transportation. 2019 Coastal Dunes Realty All Rights Reserved. Signup to Receive News & Notifications on the Grand Strand / Myrtle Beach area from Coastal Dunes Realty.